You do not have to feel pain or discomfort when having dental treatments performed. By working with a skilled and experienced dentist you can feel comfortable during your entire visit, which is why we offer sedation dentistry. Sedation dentistry makes every dental appointment more enjoyable because it can help patients relax and remove any risk of pain. Millions of adults suffer from some form of dental anxiety. This is a common fear due to bad experienced as a child, exposure to antiquated dental procedures, or suffering repercussions from a bad procedure. Fortunately, these fears can be erased as modern dental technology has improved to where dental procedures are now comfortable. Still, those with anxiety will benefit from sedation dentistry and its ability to make people relax. 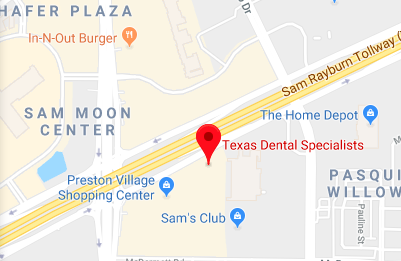 There are several types of sedation dentistry and as a painless dentist, we offer different solutions based on the patient's needs, concerns, and the type of procedure being performed. Sedation can start by breathing in what is known as laughing gas. This causes a person to relax instantly and feel comfortable. This alone can relieve the anxiety associated with cleaning teeth or fixing a cavity. When it comes to pain relief there are several options that range from mild to moderate and complete sedation. With mild sedation, laughing gas can be used and followed up with a shot of pain medication in the area that is being treated. This will numb the specific area but allow a person to still be fully aware and respond to commands. In moderate sedation, laughing gas can also be used along with pain medication, but the pain medication or anesthesia is more intense and people may be unable to do things on their own and need help to respond to commands. Complete sedation involves a level of anesthesia that makes a person fall asleep, so they do not feel anything and are completely unaware of what is happening. This is mostly used for people that are having oral surgery like dental implants, or a wisdom tooth removed. The goal is to keep a patient completely comfortable and pain-free during the procedure. Most dental procedures do not cause very much pain or discomfort but when a person is anxious or worried, even the slightest bump may feel painful. This is why mild sedation is so effective. It removes the anxiety and fear without needing strong anesthesia. As a painless dentist, we provide a variety of options and tailor our treatment plan based on the level of anxiety and the type of treatment a patient is receiving. We are confident in our ability to clean teeth and treat oral infections and gum disease while keeping our patients comfortable. We are a painless dentist that uses the latest in dental technology to ensure that our patients receive treatment that is targeted, accurate, and precise. This, in turn, minimizes recovery times and helps our patients to walk out of the office feeling great.